This article is about the Puerto Rican actor born 1956. For other people named Luis Guzmán, see Luis Guzmán (disambiguation). 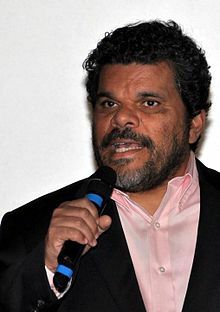 Luis Guzmán (born August 28, 1956) is a Puerto Rican actor, who is known for his character work. For much of Guzmán's career, he has played character roles largely as sidekicks, thugs, and policemen. Guzmán starred in Steven Soderbergh's films Out of Sight, The Limey and Traffic. He also starred in Paul Thomas Anderson's films, Boogie Nights, Magnolia and Punch-Drunk Love. He starred in the HBO original series How to Make It in America and the Netflix series Narcos. He also starred in the CBS medical drama Code Black, where he portrayed senior nurse Jesse "Mama" Salander. He also co-starred on Cameron Crowe's Roadies, a comedy-drama on Showtime, as Gooch, a seasoned crew tour bus driver. Guzmán was born in Cayey, Puerto Rico, and was raised in New York City's Greenwich Village and the surrounding Lower East Side neighborhood. His mother, Rosa, was a hospital worker, and his stepfather, Benjamin Cardona, was a TV repairman. He began his career as a social worker and moonlighted as an actor, eventually becoming heavily involved in street theater and independent films. Guzman's numerous movie credits include Carlito's Way, Carlito's Way: Rise to Power, Punch-Drunk Love, Welcome to Collinwood, Stonewall, Waiting..., The Salton Sea, and Lemony Snicket's A Series of Unfortunate Events. He has also appeared on the TV shows Homicide: Life on the Street, Frasier and Oz and had a role in the video game Grand Theft Auto: Vice City and its prequel Grand Theft Auto: Vice City Stories. Guzmán starred in the short-lived 2003 television comedy Luis, and is a commentator on VH1's I Love the '80s, as well as I Love Toys and its sequels, including I Love the '70s and I Love the '90s. He co-starred on the canceled 2007 HBO series John from Cincinnati. In early 2008, Guzmán starred in "Naturally Aged Cheddar Hunks" TV ads for Cabot Creamery. He also appeared in the music video "Yes We Can." In 2010 he starred in HBO's How to Make It in America. Guzmán resides in Sutton, Vermont. His children include Cemi Guzman, Yoruba Briggs-Guzman, Yemaya Briggs-Guzman, Luna Guzman, Jace O'Flynn Guzman and Margarita Briggs-Guzman. Guzmán endorsed Senator Bernie Sanders for President in the 2016 U.S. presidential election. 1985 The Equalizer Gypsy Cabbie Episode: "The Lock Box"
1990 Hunter Carlos Delgado Episode: "La Familia"
1991 Monsters Luis Episode: "Desirable Alien"
Law & Order Cesar Pescador Episode: "Heaven"
1992 Civil Wars Hector Rodriguez Episode: "Tape Fear"
1993 Homicide: Life on the Street Lorenzo Molera Episode: "Son of a Gun"
Walker, Texas Ranger Gomez Episode: "Storm Warning"
1994 seaQuest DSV General Guzmano Episode: "The Good Death"
1998 Early Edition John Hernandez Episodes: "The Quality of Mercy"
Michael Hayes Santos Episodes: "Vaughn Mowery"
2002 Frasier George Episode: "Enemy at the Gate"
2011 Community Himself Episode: "Documentary Filmmaking: Redux"
2013 Republic of Doyle Charles Alomar Episode: "The Devil Inside"
2018 The Untitled Action Bronson Show Himself Episode: "An Australian Surprise and Luis Guzmán"
Bar Rescue Himself Episode: "Operation: Puerto Rico"
2019 Shameless Mikey O’Shea - Hobo Loco Contestant Episode: "LOS DIABLOS"
^ "Luis Guzman Biography (1957?-)". Filmreference.com. Retrieved May 15, 2013. 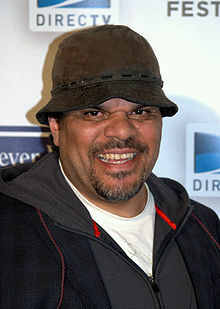 ^ "Luis Guzman Biography". Star Pulse. Retrieved June 19, 2011. ^ Swansburg, John "Cheese Puff" Slate.com (January 18, 2008). Retrieved on May 1, 2008. ^ "Legislative Documents". Leg.state.vt.us. Retrieved May 15, 2013. ^ "Joint Concurrent House Resolution". State of Vermont. Retrieved August 16, 2011. ^ "Bernie Sanders campaign taps Rosario Dawson, Luis Guzman to woo Latino voters in LA". Los Angeles Daily News. May 26, 2016. Wikimedia Commons has media related to Luis Guzmán. This page was last edited on 4 March 2019, at 02:40 (UTC).